I came up with the idea of NihonBox in 2014 when I was desperately looking for a Japan-themed monthly box to subscribe to. I was really surprised at that time to see that there was no such thing. After several months of work, the first NihonBox appeared in February 2015 to share Japan as best as possible! A few months later, our growing community made the relocation of NihonBox in Japan possible in September 2015. Since then, our team keeps on growing to offer you the most beautiful boxes possible every month :)! 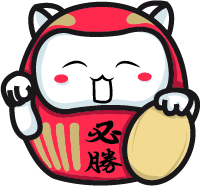 At NihonBox, our mission is to share Japan and its culture under every form in our surprise boxes. Manga-related objects, traditional objects, food: Japanese culture is amazingly rich and a passion for many people around the world. Our small Franco-Japanese team is composed of enthusiasts too and our main goal is to provide you with the most beautiful boxes every month! NihonBox went through different stages all along its development, but it’s still the beginning! We remain constantly attentive to our community, because NihonBox wouldn’t exist without it. Over these last few years, NihonBox grew thanks to its community and our boxes reflect this community: diverse, eager to discover and fueled by a common passion, Japan. Each box we elaborate is unique, full of surprises and of original products that we carefully select for you. We hope that you’ll enjoy our work and every box that you’ll be lucky enough to discover with us. Tomoko joined the NihonBox team at the very beginning! She loves reading comments about the boxes on social networks :). She’s doing anything she can to share her culture through NihonBox and UmaiBox. In love with Japan and its culture for a very long time, he is looking for new and fun products to share in the boxes every day! He is also excited to exchange with the community on social networks daily. Daisuke met Charles in France where he’s been living for a year. He then quitted his job in Japan and joined NihonBox to share his culture around the world! Besides being handsome, he’s smart and plays the guitar *_*! Former member of a Visual-kei band, he is the treasure hunter of the team! His current favorite anime: Pop Team Epic. He saw almost all the animes of the world and makes everything he can to make the boxes perfect every month!